The Japan Karatedo Federation was established in 1964 to organize and oversee all styles of traditional Japanese Karate. This organization is part of Japan’s Ministry of Education, Culture, Sports, Science and Technology (文部科学省, Monbu-kagaku-shō). It is led by a member of Cabinet who is selected by Japan’s Prime Minister. 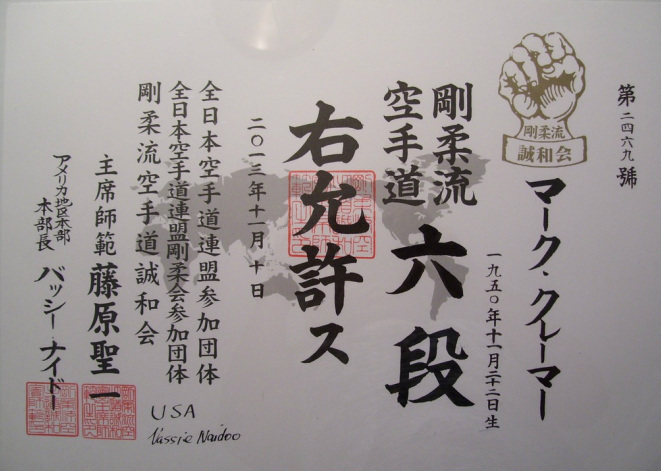 The vast majority of traditional Goju Ryu organizations are members of the JKF Goju Kai. This organization seeks to preserve and perpetuate the style of karate that was developed in Okinawa, Japan by Mr. Chojun Miyagi. Great Lakes Seiwa Kai is a member of the JKF Goju Kai. 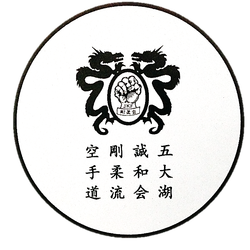 Seiwa Kai is one of the 13 member organizations of the JKF Goju Kai, and Great Lakes Seiwa Kai is a member dojo. The Seiwa Kai has more than 50,000 members in the Dojos of more than 50 countries on all six inhabited continents. Mr. Shuji Tasaki, Hanshi (1933 - 2011) is the founder of the Seiwa Kai. 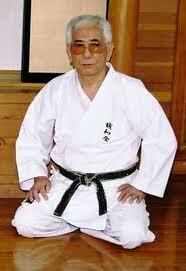 He began training in Goju Ryu in 1952 under the tutelage of Gogen Yamaguchi. In 1972 he left the Yamaguchi organization to form the Seiwa Kai. 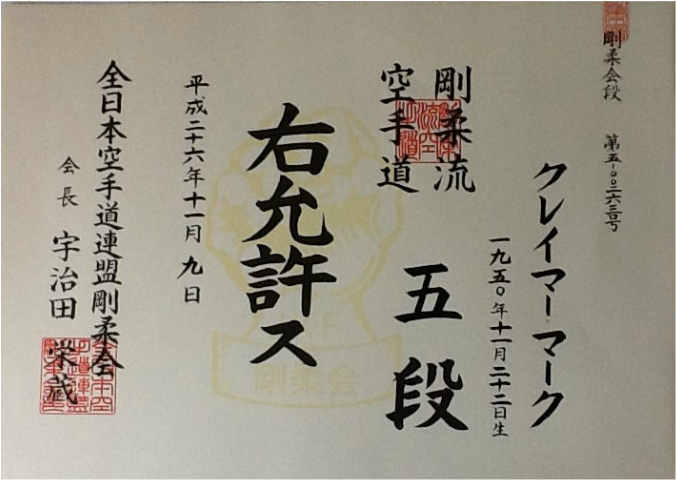 Mr. Tasaki was a 9th Dan in both the JKF Goju Kai and the Seiwa Kai. 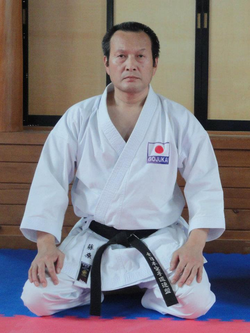 Mr. Seiichi Fujiwara, Hanshi 8th Dan, is the President of Seiwa Kai. In addition to his position with the Seiwa Kai, he holds an 8th Dan with the JKF Goju Kai and serves as their Executive Director. Mr. Fujuwara is also a former National Kumite and Kata Champion. For more information on Mr. Fujiwara click on the links below. 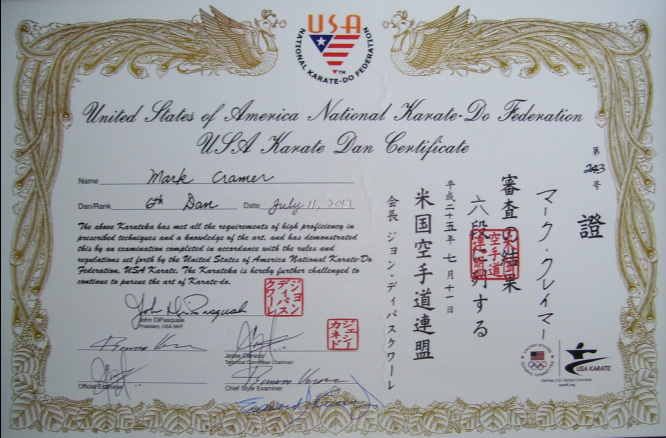 The USA National Karatedo Federation (USANKF) is the US Olympic Committee's National Governing Body for sport karate. This organization conducts the National Championships and Team Trials for the United States and selects the athletes who represent our country in international events. 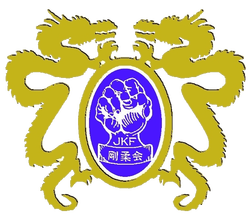 Great Lakes Seiwa Kai is a member of the USANKF.